Online gaming has advanced incredibly over the past 20 years. 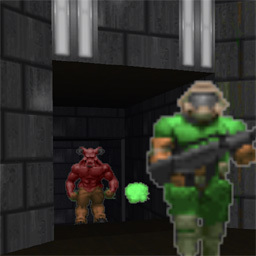 While Doom first popularized play over the LAN, Quake revolutionized the field with its client/server architecture. QuakeWorld and Unreal also made further improvements through client-side prediction; producing responsive gaming over a 56K modem. 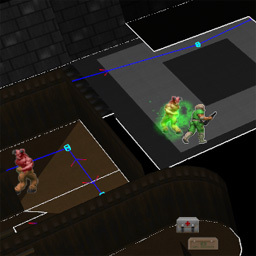 Our task for this project was to incorporate a QuakeWorld style architecture into our own networked game. AI requirements also included A* path finding and the use of finite state machines to control behaviour. Support for up to 8 human participants. 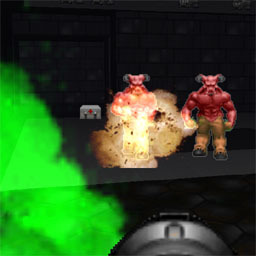 Complex game play area consisting of a complete Doom level. Area of interest management to reduce bandwidth use & latency. Multiple AI behaviours including ambush, patrol and hunt. 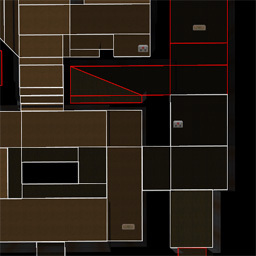 Optimised AI path finding and line of sight calculations. Transmission rate control and optional reliable data transfer over UDP. Error correction to deal with lost packets.